We are a family owned restaurant that is ran by locals who have lived here all their lives. We specialize in Gourmet Chef inspired burgers and Shakes. We only serve the freshest ingredients and pretty much make everything in house. Don’t want a burger? No worries, Chef Chris Infinger has you covered with local fresh seafood from Tarpon Docks, awesome wings, gluten free, and even vegetarian options! Don’t forget to save some room for one of Original #CAT5Shakes! 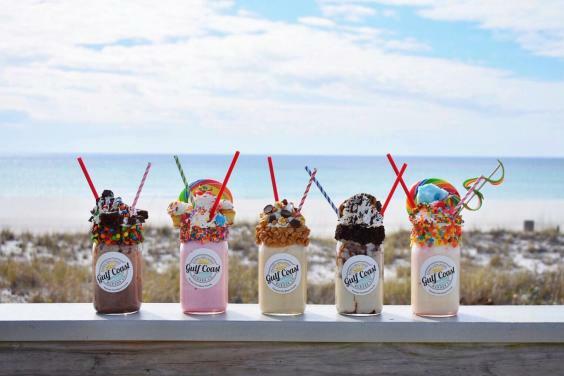 Since we have launched there are some imitations out there, so be careful and don’t wait for over an hour for a smaller 16oz shake... We avg around 15 minutes and our #Cat5Shake is 32oz (recommended to share) and you get to keep the jar!! Our goal is for you to leave full, happy, and create memories you’ll never forget! Come by and see us.